Hazardous substances are not the only risks when working in laboratories. There are also a number of items of equipment, which, if not used properly can cause injury and in some circumstances even property damage. To help you use some of the more complex equipment, the following Information Sheets and an Example Laboratory Risk Assessment have been created. It is hoped these will provide staff and students with step by step, practical guidance on the safe use of specific items of laboratory equipment. Additional "Laboratory Safety" Information Sheets will be added as appropriate. Information Sheet 1 - Laboratory Safety: General Information. Information Sheet 2 - Electrical Safety. Information Sheet 3 - Safe Use of Microwaves. Information Sheet 4 - Safe Use of Autoclaves. 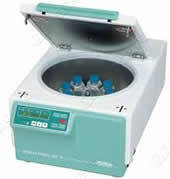 Information Sheet 5 - Safe Use of Micro Centrifuges. Information Sheet 6 - Safe Use of Fume Hoods. Information Sheet 7 - Safe Handling and Use of Compressed Gas Cylinders. Information Sheet 8 - Safe Use of High Speed Centrifuges. Information Sheet 9 - Safe Handling and Use of Liquid Nitrogen. You will all be aware of the requirement to test and maintain all applicable “local exhaust ventilation” (LEV) systems under the COSHH Regulations and also be aware that this testing must be undertaken at least every 14 months. For ducted systems, such as the traditional fume cabinet, which are normally ducted to exhaust on the roof, estates (PACS) will typically undertake this service on your behalf (it is appreciated that some particulate extract systems within workshops have different arrangements). For most “ducted-systems” (with some local exceptions) all that is generally required of Schools and Departments is to seek confirmation that the Fume Cabinet (for example) is “still within test-date”, to use it correctly and to check the continued safe operation of the units, as described in Information Sheet 6 (see above). However, many Schools and Departments have, over the years, purchased self-contained filtered extract systems/cabinets, which are not ducted and I would highlight here that PACS will not be undertaking the statutory inspections and tests for such Units - as they are School/Departmental Equipment and are not a part of the building infrastructure. Therefore, Schools and Departments must ensure that they perform the appropriate containment/operational tests at least every 14 months, and operate and maintain the Units/Systems in accordance with the manufacturer’s instructions. By the very fact that these units are re-circulating it is even more critical that they are maintained, tested and operated correctly and in accordance with design and manufacturers requirements. For Units such as the Microbiological Cabinets the appropriate tests would normally be done by external service specialist, as part of the Cabinets re-certification for safe use of Haz Group 2/3 organisms. All re-circulating systems, provided with the intention of extracting/filtering hazardous substances, should be registered locally, test & inspection information noted and a copy of the schedule provided to Health and Safety Services at least annually. Please note that all extract systems (ducted and ductless) that are provided with the purpose of extracting away from people any potentially hazardous substance or material will be governed by the stipulations of the COSHH Regulations and must be maintained, tested and inspected. This would include spray-booths & hoods, chemical and biological cabinets, welding fume extract systems, Vacuum/Filter Systems attached to woodworking equipment, etc., whether they are ducted or self-contained. General ‘environmental & nuisance smells’ etc. systems, such as vent-axia fans, air-con, air-movers, dust control systems, cooker hoods, do not normally come within these requirements as they are not designed to extract away hazardous substances in accordance with the COSHH Regulations.